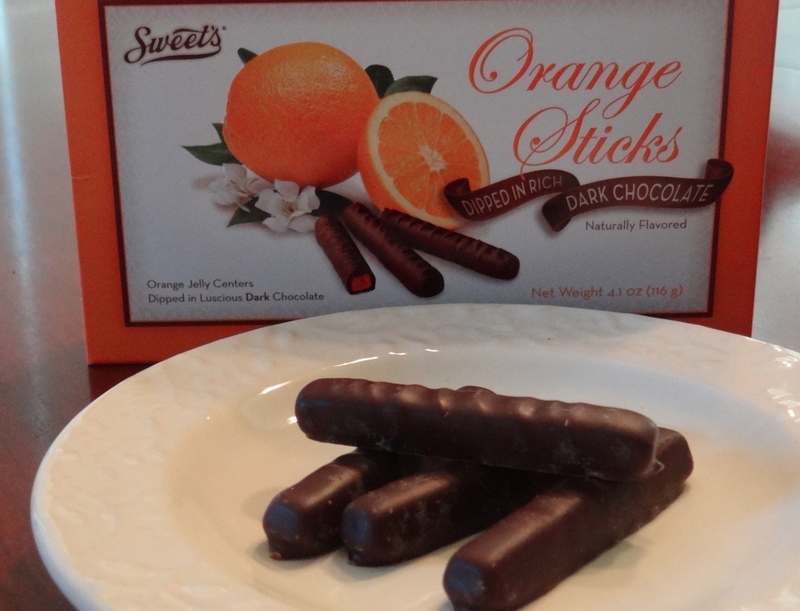 We found Sweet’s Dark Chocolate Orange Sticks while shopping this week. After we had enjoyed their Milk Chocolate Orange Sticks so much, it seemed absolutely mandatory to try the Dark Chocolate variety. They did not disappoint! If you are planning an election-day gathering, don’t forget Sweet’s offers red, white and blue candies, which would be perfect on a dessert buffet. Gluten-free diet products continue to gain in popularity, and we previously shared tasty Sahale Snacks with you. Hurry to Carol Kicinski’s website which promotes gluten-free foods and recipes, and enter her contest to win Sahale Snacks and a very cool Sahale Snacks messenger bag. The offer ends October 31. We love Carol’s approached to gluten-free foods – healthy and delicious! On the gluten-free topic, Mary’s Gone Crackers takes social responsibility to heart and is working to help celiac disease support groups with a petition drive to standardize gluten-free product labeling. If you are interested in participating, go to the American Celiac Disease Alliance’s website for more information. Did you see our rave review of Immaculate Baking Co.’s Gingerbread Spice Cookies? We extended the love to their Supremes Chocolate Chunk Cookies this week. Chocolate chunk cookies, fresh and warm from the oven in 15 minutes – what’s not to love? Angie’s Kettle Corn announced they are launching a new website, and on Tuesday, they are posting a special discount offer for Facebook fans. Don’t miss it!